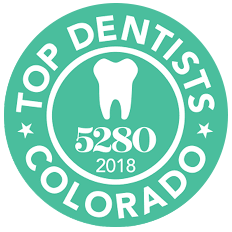 At Barron Family Dental, we practice Laser Dentistry Thornton, CO with SIROLase from Sirona to give patients faster, non-invasive, and more effective treatments for periodontal disease, cosmetic tissue contouring, and other soft tissue treatments. 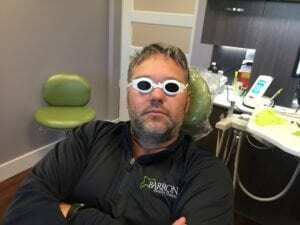 Unlike traditional soft tissue treatments that use scalpels and sutures and could be uncomfortable, laser dentistry treatments are much less irritating to soft tissue. SIROLase makes it possible for our team to remove damaged tissues, reduce bacteria, and smooth tooth roots to prevent future plaque buildup without heavy bleeding during treatment and much less inflammation following. As a result, our patients receive fast and comfortable treatment that will put smiles back on their faces. During laser dentistry therapies, the soft tissue is instantly cauterized, which promotes fast and comfortable healing following treatment. Come in for laser therapy and you get to wear these awesome glasses! If you want to find out more about dental care using Laser Dentistry Thornton, CO or any of our dentistry services, please don’t hesitate to call our Thornton dental team at 303-284-6463 to schedule an appointment. We cater to patients throughout the Denver metro, and we specialize in family care.